On Monday March 22, 2010, from 9:30am to 12:00pm, Rural Action Sustainable Agriculture, in partnership with the Central Appalachian Network, will be hosting a workshop on High Tunnel construction and management. The workshop, sponsored by the Ohio Environmental Education Fund, will be presented by Anthony Flaccavento, an Organic Farmer and Author from Virginia, and is free and open to the public. High tunnels, also commonly referred to as “hoop houses”, are unheated greenhouses that can help market gardeners extend their growing season so that they can increase production and improve the profitability of their farms. Unlike commercial greenhouses that cost up to $20 per square foot to construct, high tunnels can cost as little as $0.50 per square foot. High tunnels provide a warmer production environment, thus offering the advantage of starting crops earlier in the spring and harvesting them later in the fall. 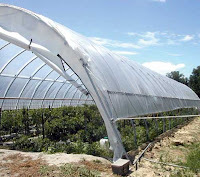 They also provide protection from adverse weather and temperature as well as decreased incidence of pest and disease problems, resulting in improved quality of crops, greater economic benefits and increased local produce sources for surrounding communities. High tunnels are increasingly being used all over the nation, including at the White House, where they have been built to continue producing vegetables such as spinach, lettuce and carrots among others. Further, Governor Ted Strickland has made commitments to increase the percentage of food bought and produced locally – high tunnels will help contribute to this goal. Strickland’s goal is also in conjunction with the “Know your farmer, know your food” initiative underway with The U.S. Department of Agriculture’s Natural Resources Conservation Service (NRCS), which has been helping farmers fund the construction and use of high tunnels to help reduce pesticide use, keep vital nutrients in the soil, extend the growing season, increase yields, and provide other benefits to growers. This workshop will provide the necessary knowledge to put to use the advantages of high tunnel season extension. The agenda for the workshop will include detailed explanations and discussions by Anthony Flaccavento, covering: Site selection; materials needed; construction; seed varieties and selection; planting and crop management; and heating and frost control. 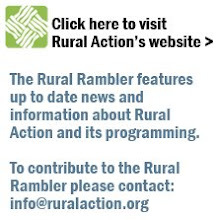 The workshop will be held at Ura Hershberger’s Farm, located at 1897 Hilaman Rd. Stockport OH, 43787. It will go on rain or shine, so make sure to dress appropriately. Following the workshop there will be a meeting and light lunch from 12:00-1:00pm for producers who may be interested in participating in the Chesterhill Produce Auction, which will begin May 20th.